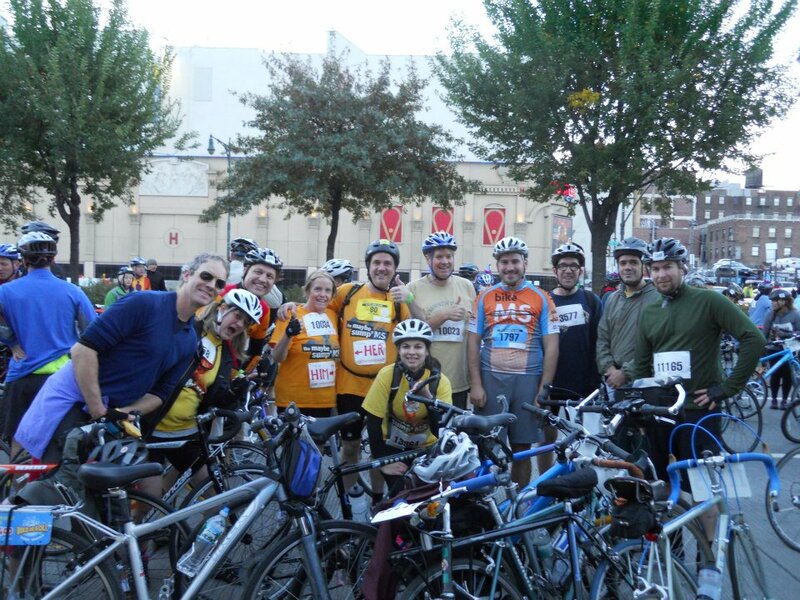 The Maybe Sump’ms are a BikeMS team that rides every fall in NYC. We’re made up of friends and family of Pete Hayes and Amanda Nichols. See any people you know in the photo? Last year, the Maybe Sump’MS were the #21 fundraising team for the entire event (that includes corporate teams with tons of members)! 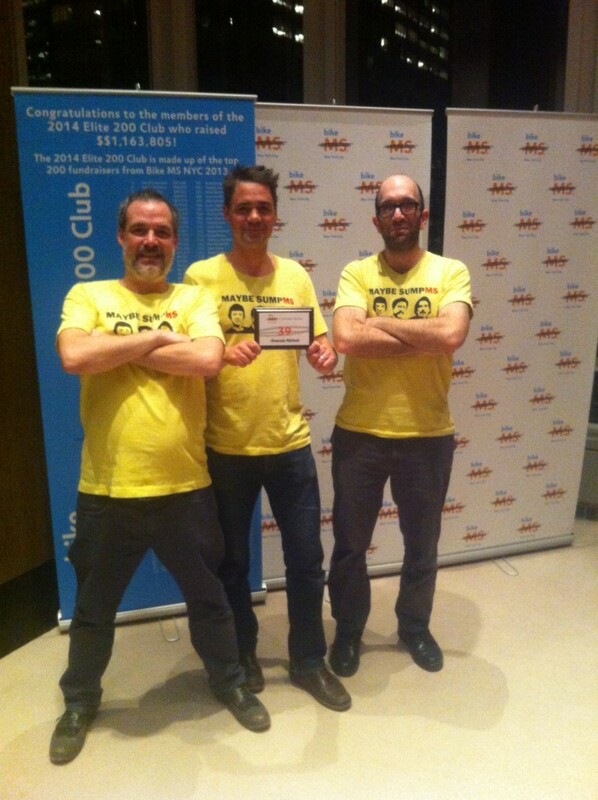 Pete and Amanda were also part of the top 100 individual fundraisers. A big part of how the team gets donations is through Crash Safely’s shows, silent auctions and raffles at the shows. In fact, Crash Safely’s fundraising was #39 of all of the individuals who participated in BikeMS NYC 2013. This was the best showing for Crash Safely and the highest rank for the Maybe Sump’ms to date! Be a part of the shows! Be a part of the ride! Contact us for more information!